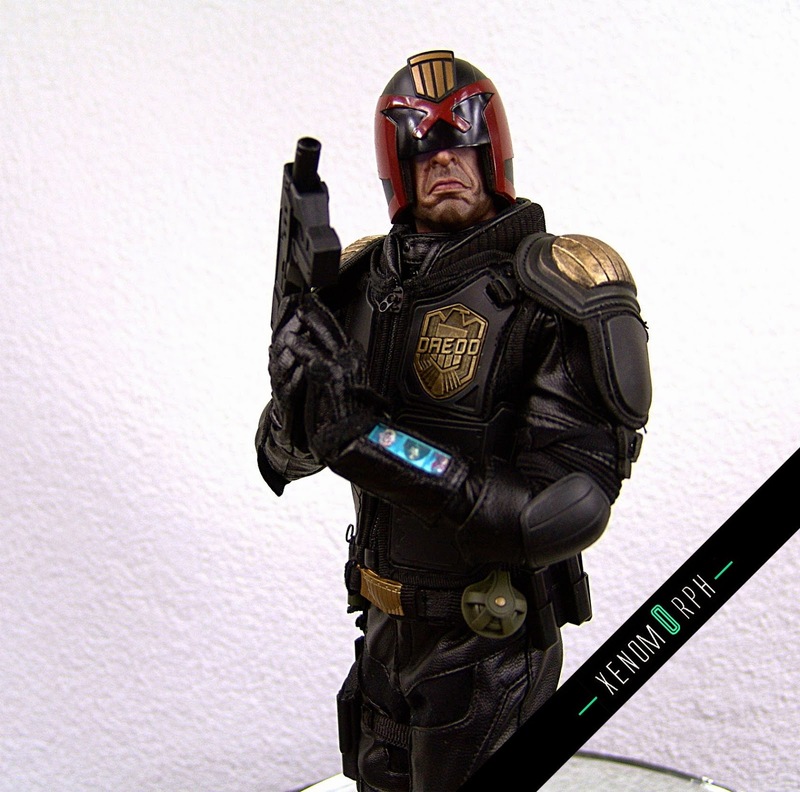 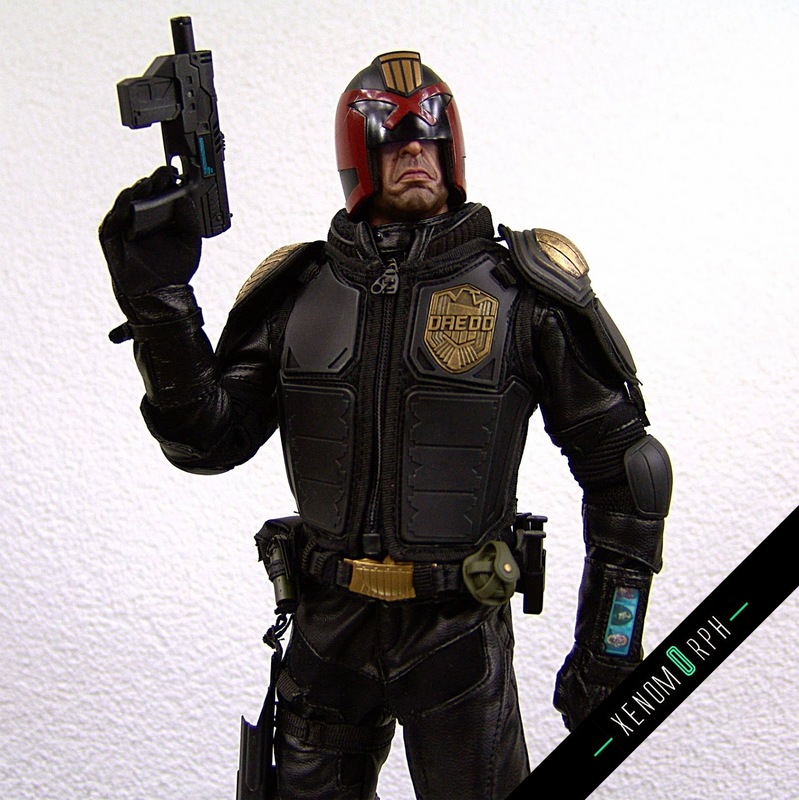 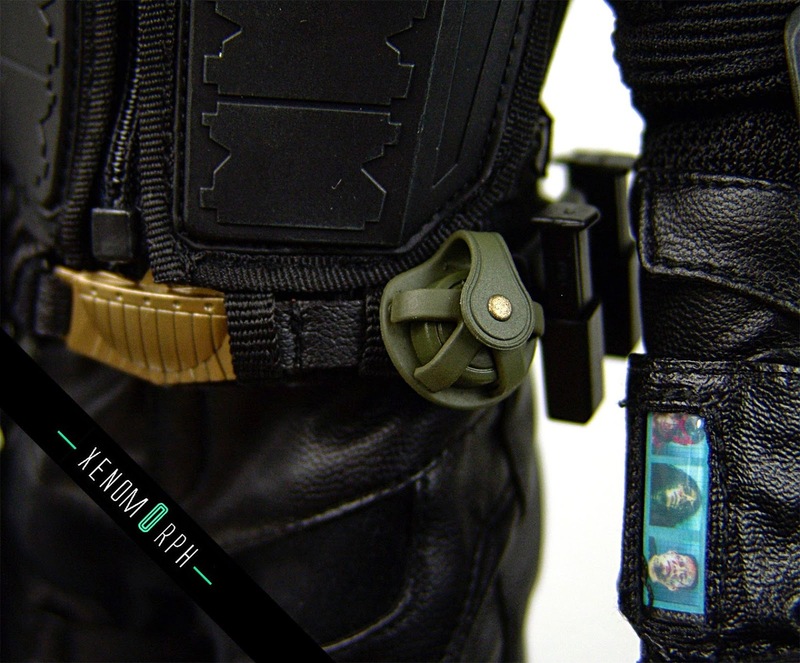 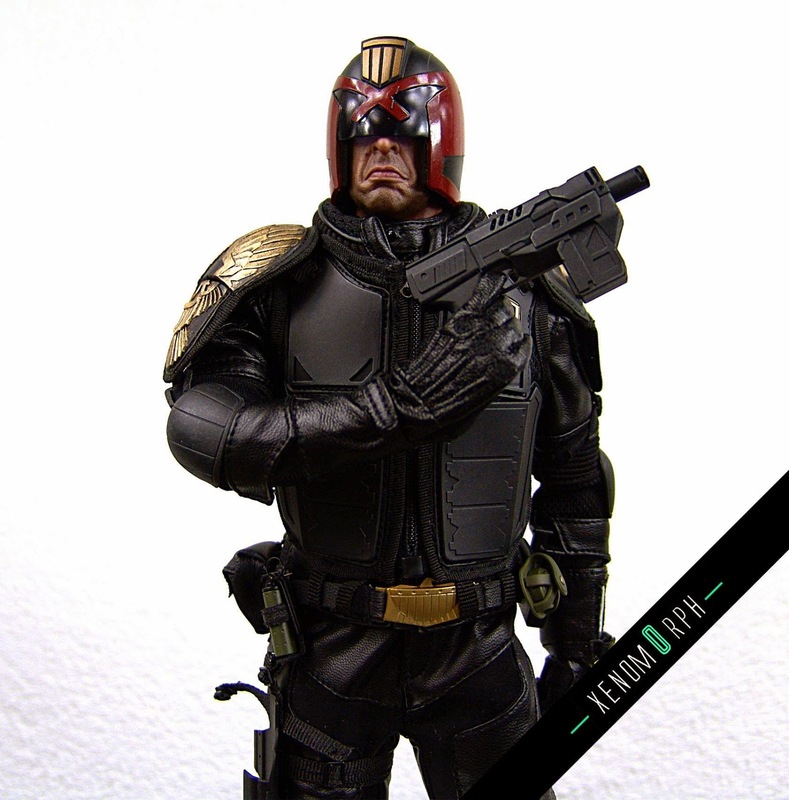 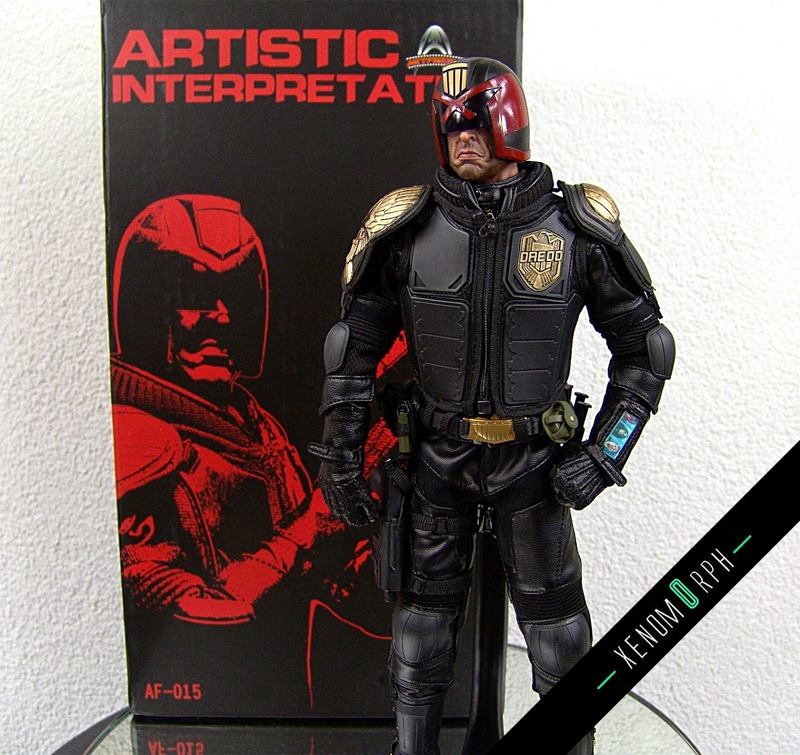 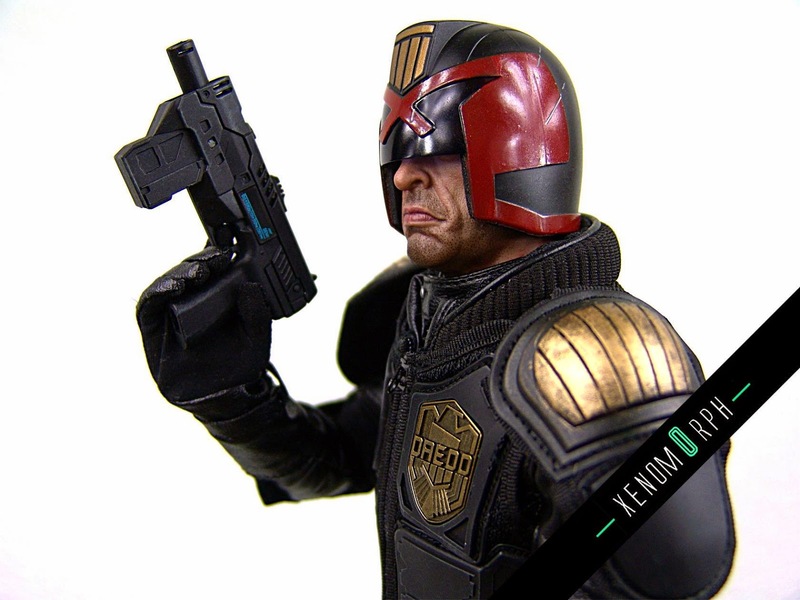 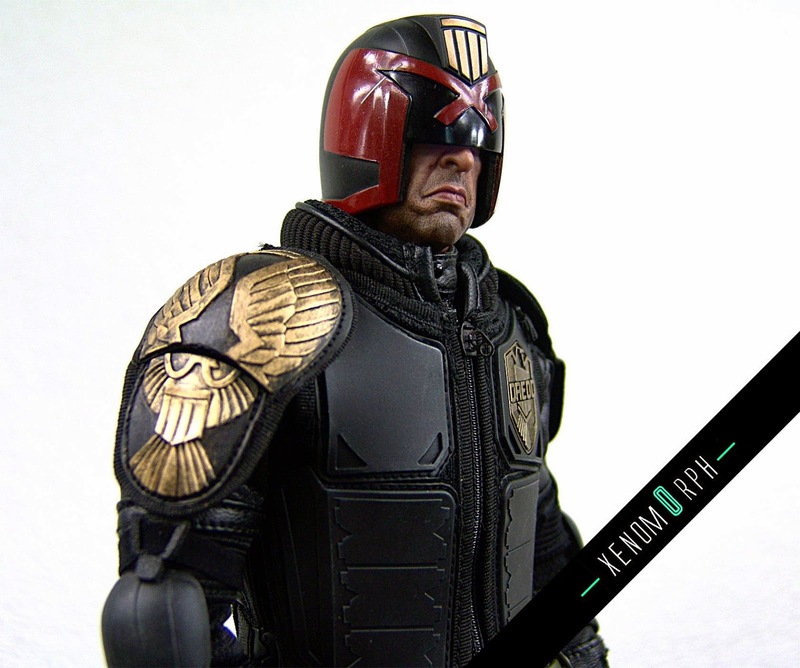 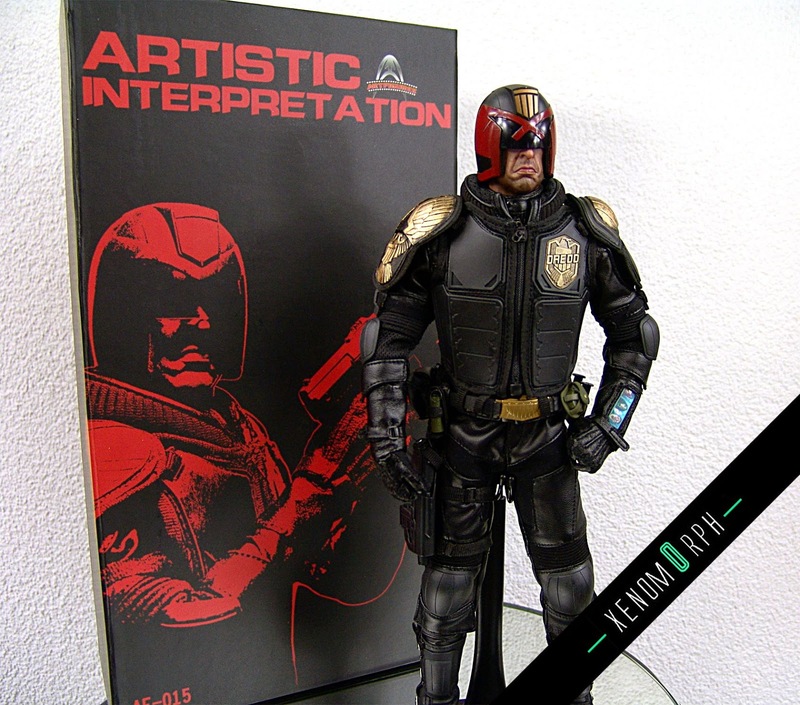 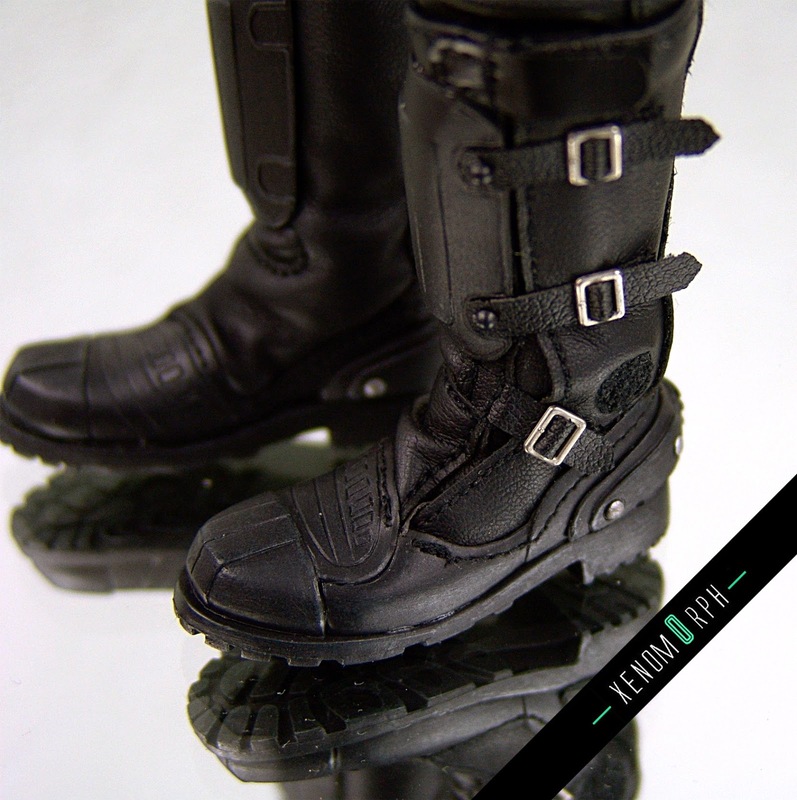 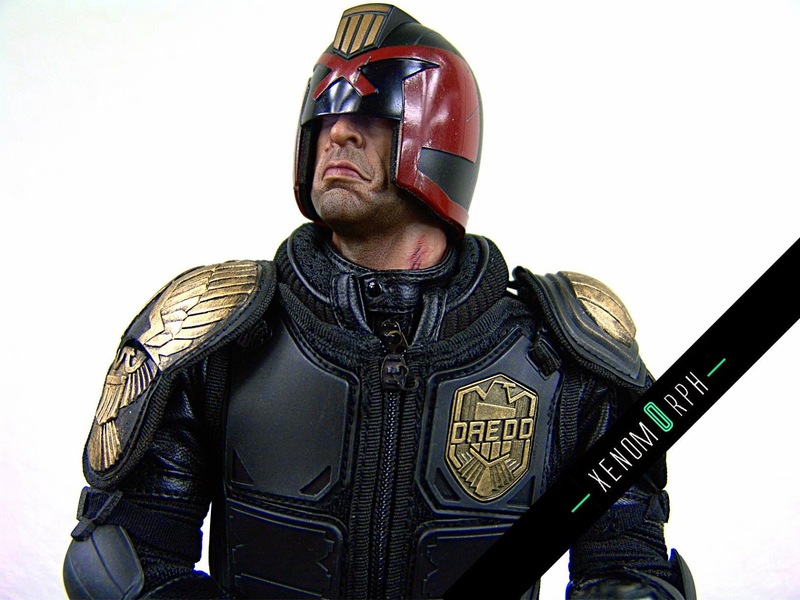 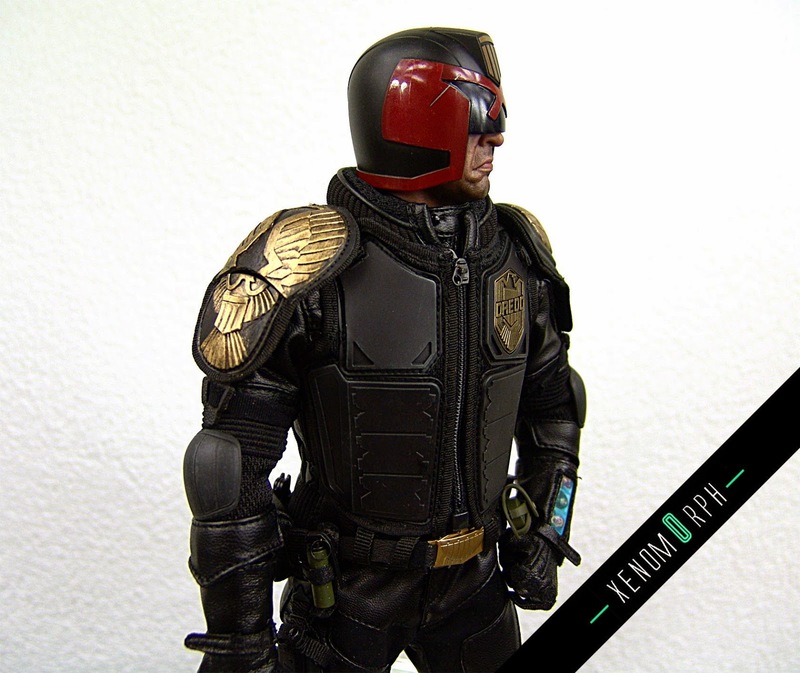 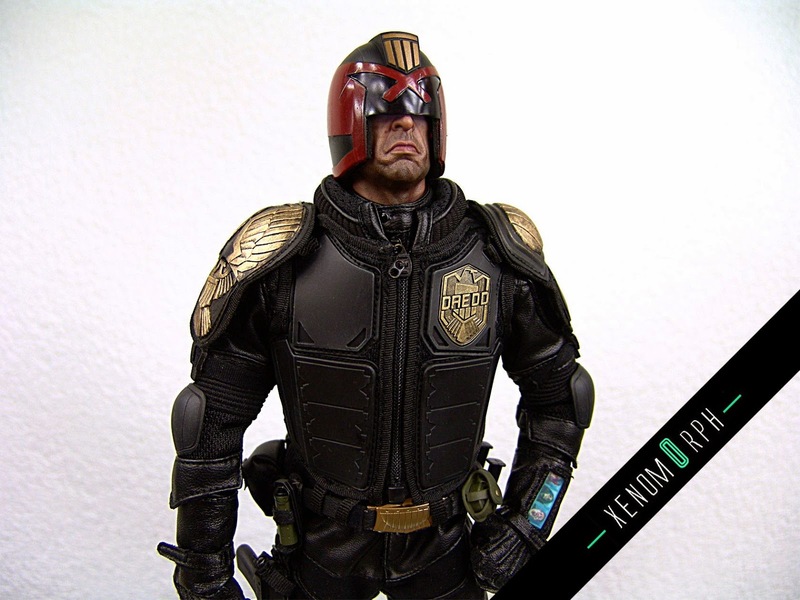 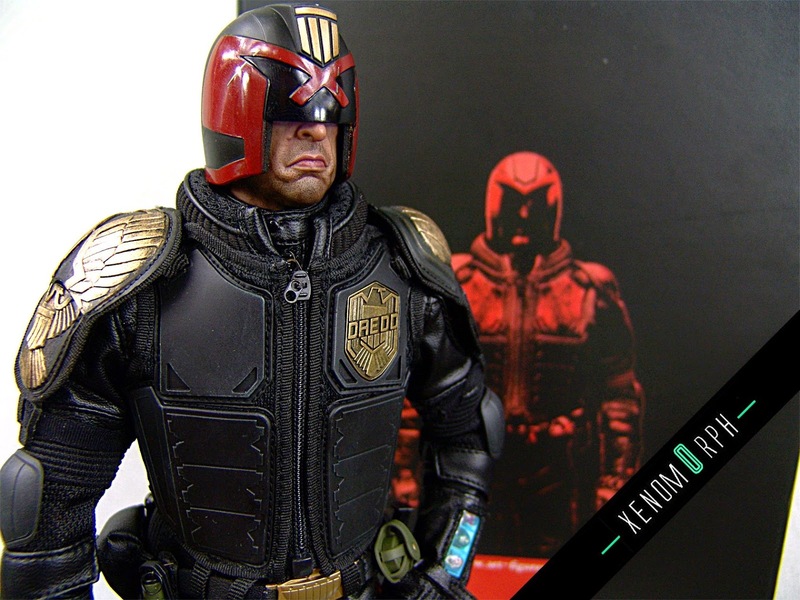 Something fresh today - recently 1/6 producer Art Figures released an "artistic interpretation" of Judge Dredd from the 2012 Dredd movie with Karl Urban as main lead actor Judge Dredd. 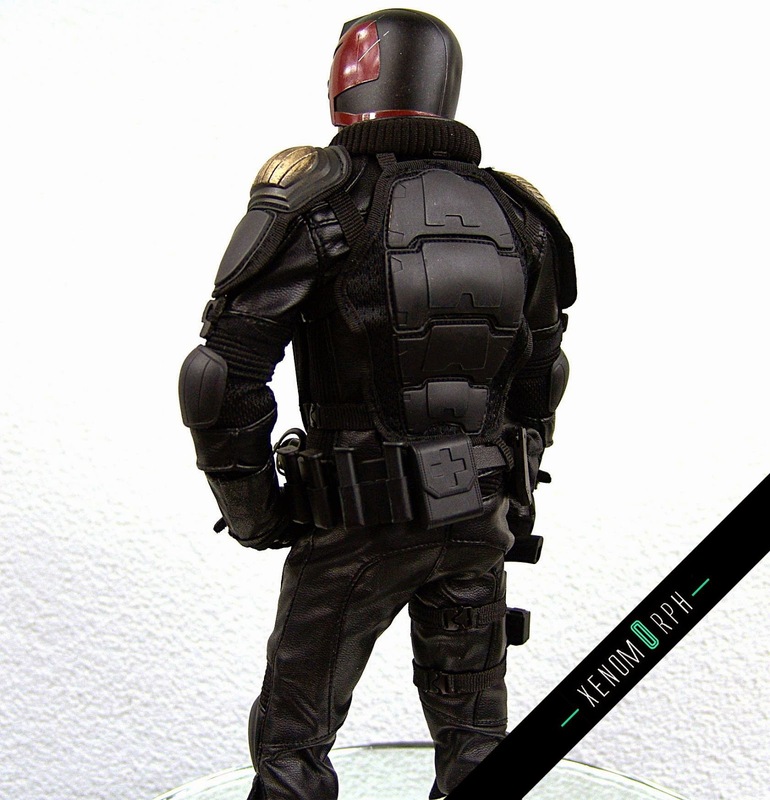 The figure is thus a non-licensed figure but it's quite obvious who the character is. 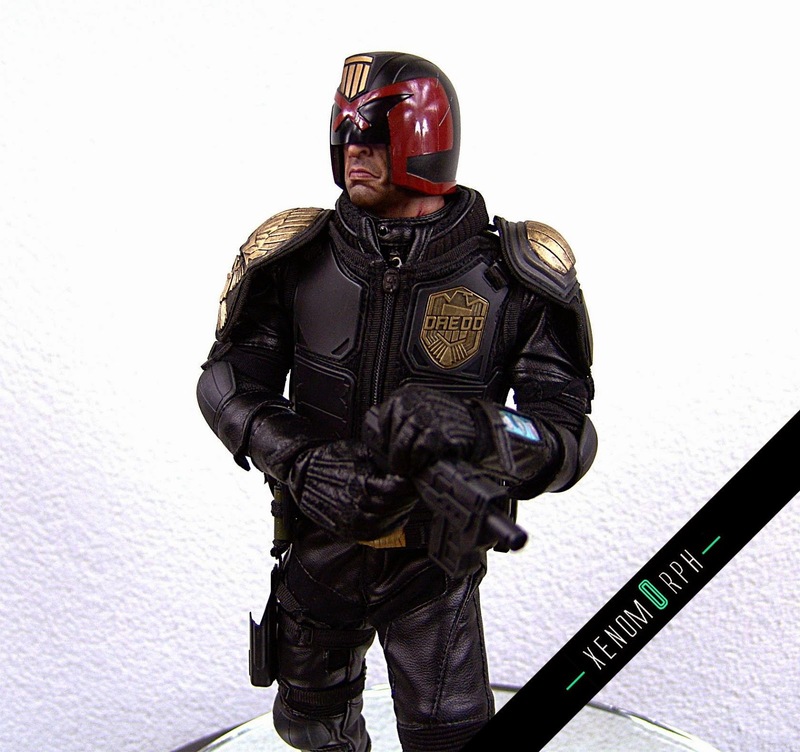 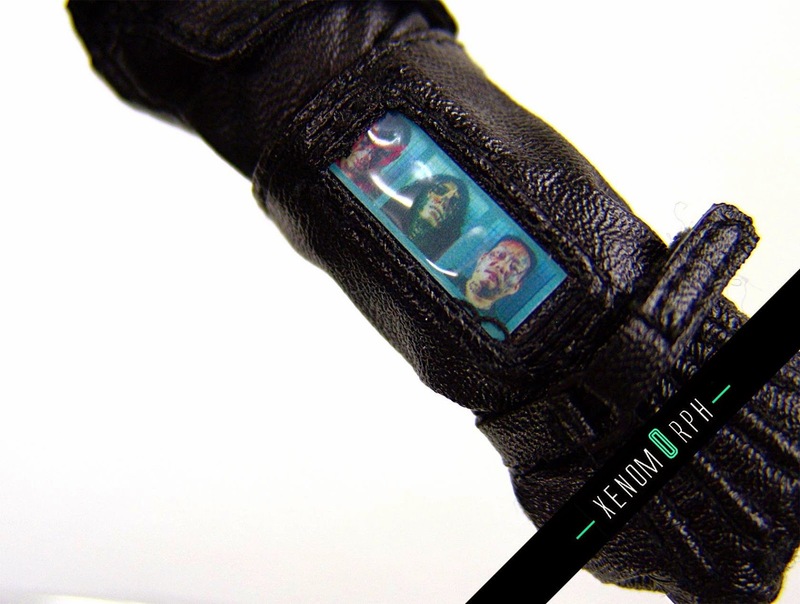 Enjoy some photos and a video review on this beautiful piece. 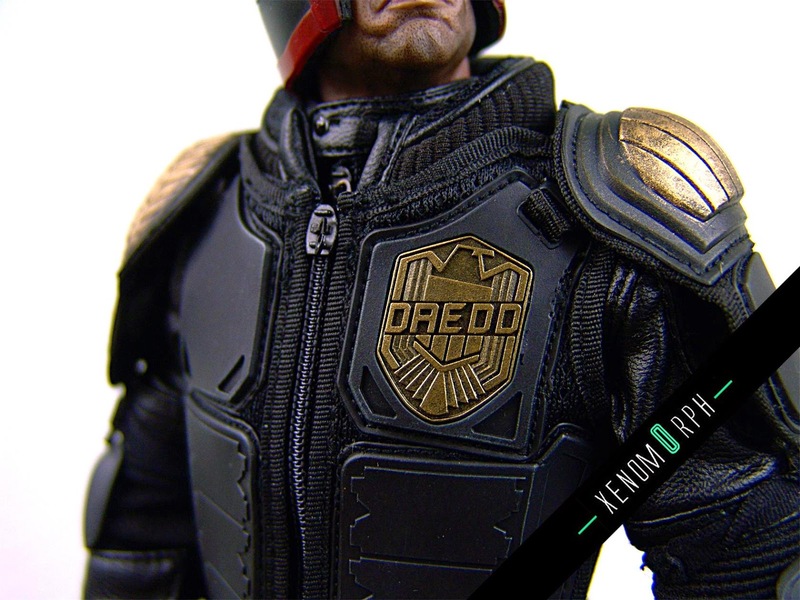 I did a bit of paint modification on the shoulder area. 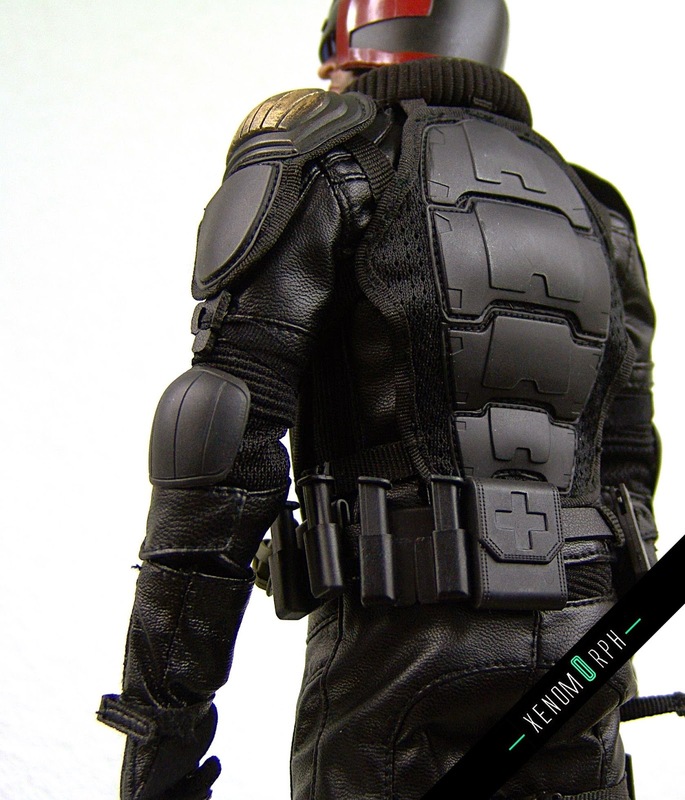 Out of the box the shoulder pads have alost no visible highlights of gold, so please keep this in mind looking at my figure. 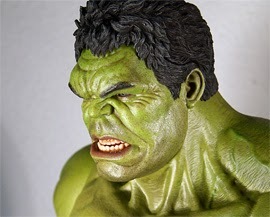 It's easily done though, just get you some enamel paints and drybrush the pads. 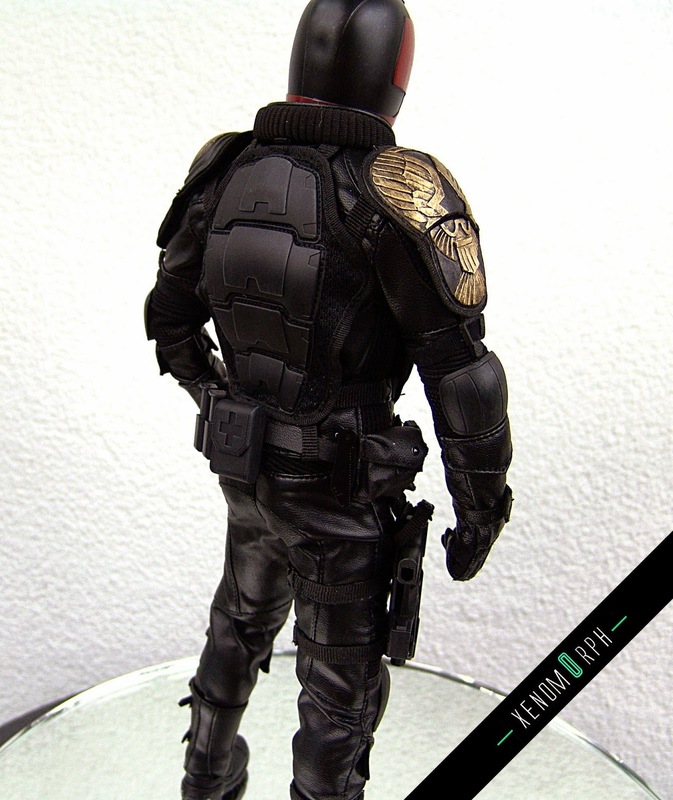 On the right shoulder you should only paint up the eagle and the wings golden.